During the Indian Wars of the 1800s, most of the Miccosukees were removed to the West, but about 100, mostly Mikasuki-speaking Creeks, never surrendered and hid out in the Everglades. 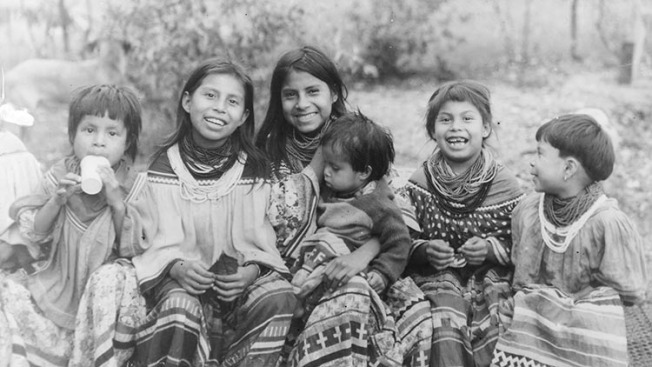 Present Tribal members now number over 600 and are direct descendants of those who eluded capture. To survive in this new environment, the Miccosukees had to adapt to living in small groups in temporary “hammock style” camps spread throughout the Everglades’ vast river of grass. The Miccosukees stayed to themselves in the Everglades for about 100 years, resisting efforts to become assimilated. Then, after the Tamiami Trail highway was built in 1928, the Tribe began to accept the New World’s concepts. To ensure that the federal government would formally recognize the Miccosukee Tribe, Buffalo Tiger led a group to Cuba in 1959, where they asked Fidel Castro for, and were granted international recognition as a sovereign country within the United States. On January 11, 1962, the U.S. Secretary of the Interior approved the Miccosukee Constitution and the Tribe was officially recognized as the Miccosukee Tribe of Indians of Florida. This legally established the Miccosukees’ tribal existence and their sovereign, domestic dependant nation status with the United States Government.